Hi everyone, hope our blog posts have not been too messy. The binomial expansion is an extensive expansion that expands the regular expansion. Ok, I'm being lame. Basically, the binomial expansion shows you how is expanded. Now, the real question is how to determine the coefficients. And that's where the binomial expansion comes into place. There are 2 main ways. 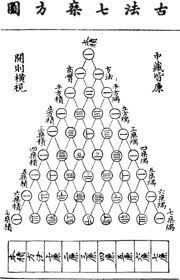 1) Pascal's / Yang's Triangle 2) Combinatorics 1) Ok so 2 geniuses, Yang and Pascal came up with the triangle independently (surprisingly). Blaise Pascal is a French dude from the 17th Century while Yang Hui is a Chinese dude from the 13th Century. However, it is more commonly known as Pascal's triangle as he published it first. As you can see from the diagram, the triangles are sort of number pyramids where the next part is the sum of the adjacent parts above. As you can see, the ( n+1)th line gives you the coefficients for as the 1st line is for the = 1. So (a+b) = a + b, = . 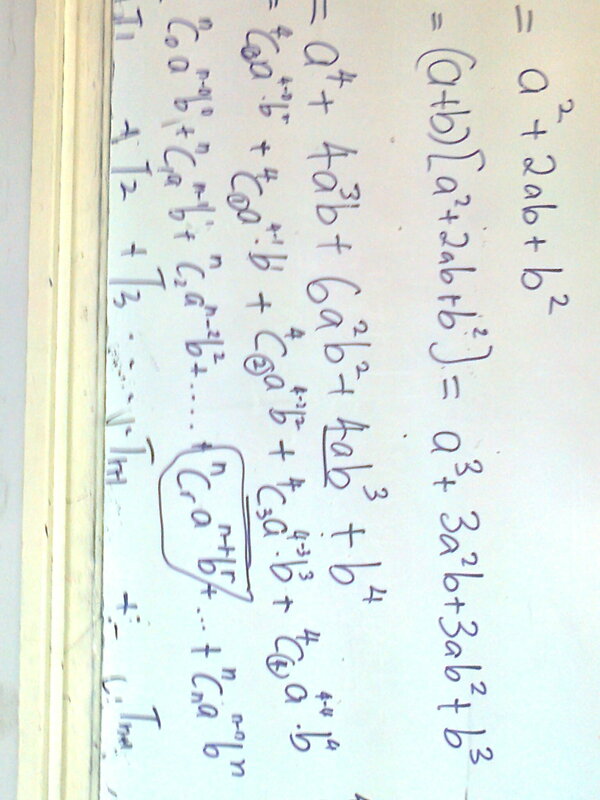 2) Combinatoric method. This is especially useful when n > 5 and you're dealing with big badass numbers. You definitely will not be able to afford the time drawing out a nice big pyramid. 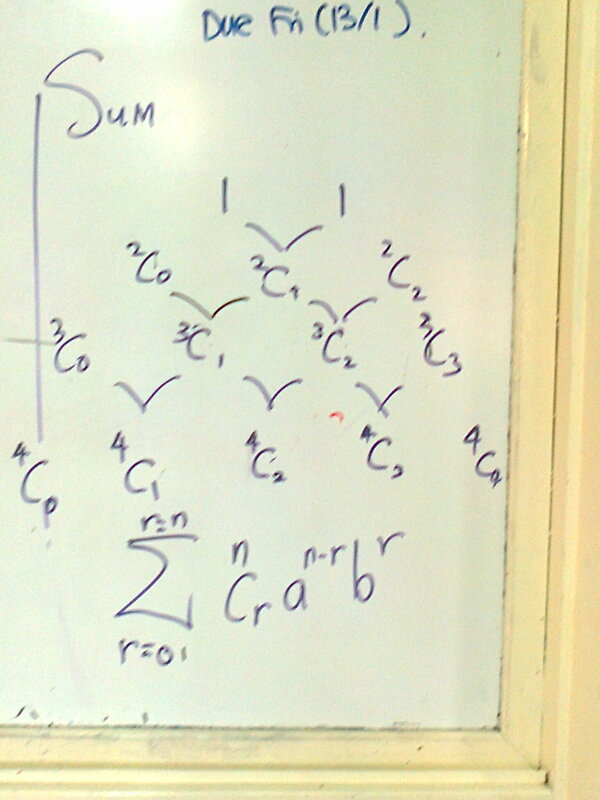 Quick Recap: Combinatorics is where a humongous C is used to replace the bracket sometimes. Here's something to bridge 1) and 2) and help you understand better.